About 20 minutes into powering away on the cross trainer, the track “Tell me how does it feel”, by Adiva and Vicky Fee, remixed by Kam Shafaati, gives me the boost I need to fly to the end of my cardio session. I find the track uplifting and inspiring. The words reflect my need to sometimes play the Hermit card, seek silent counsel and reflect. The lyrics are from New Trance Music. How does it feel, to feel love ? Tell me how does it feel to feel love ? 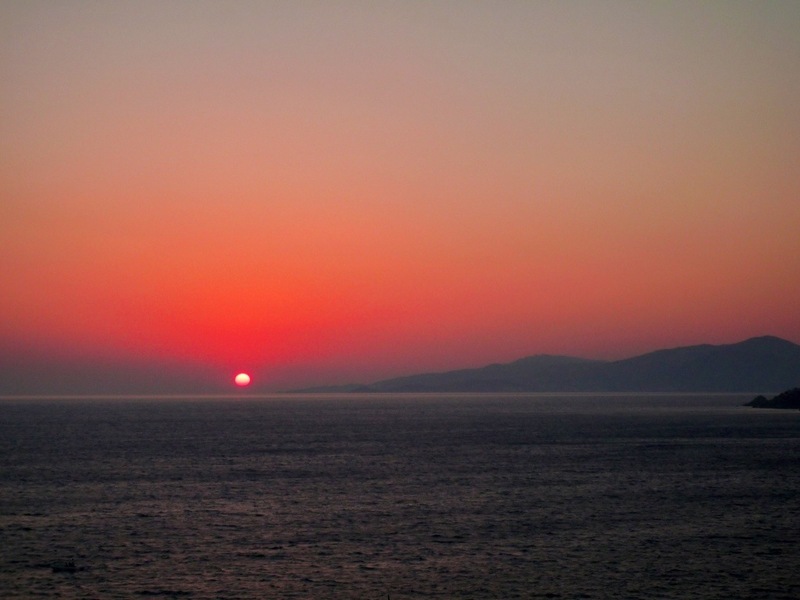 I took the photograph at sunset last Summer in Mykonos. Beautiful colors, have a great weekend. Such an INFP post 🙂 Beauty and hermitaging to which I can relate!